I started this track over a year and a half ago, it was one of my first proper tracks. 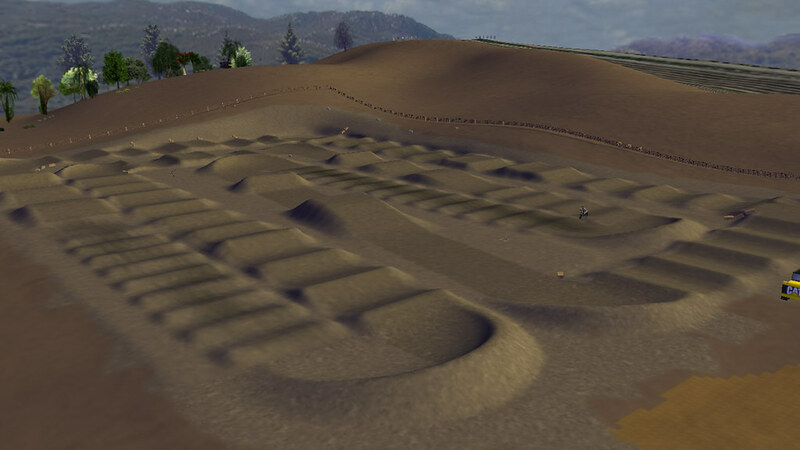 It's a replica of the 2012 Castillo Ranch Supercross track as seen in the video below. There are too many things I don't like about the track now to the point that it would probably be easier for me to start again from scratch but I don't have the motivation or the time to do that so I figured I would just release it as it is, rather than having it collecting dust in my personal folder. I tried to make it ride like it does in the video. The whoops are massive, you will probably hate them, fair play if you can get through them without a huckabuck or two, though! Just to make it clear, this is an unfinished track, I havn't touched it for over a year. Feel free to make any changes to the track or even finish it or use the environment, just give me some credit if you do. The decals are from Lake County by Checkerz and the bales are from Haggqvist. Such a fun track! Love the big whoops, track would be too easy without them. So much fun! You could have used some diffrent decals. The tripples could have been a bit big, but other than that it's great. Really like the way this rides. Has such a good flow to it.